I doubt many people have heard of Project Griffin. 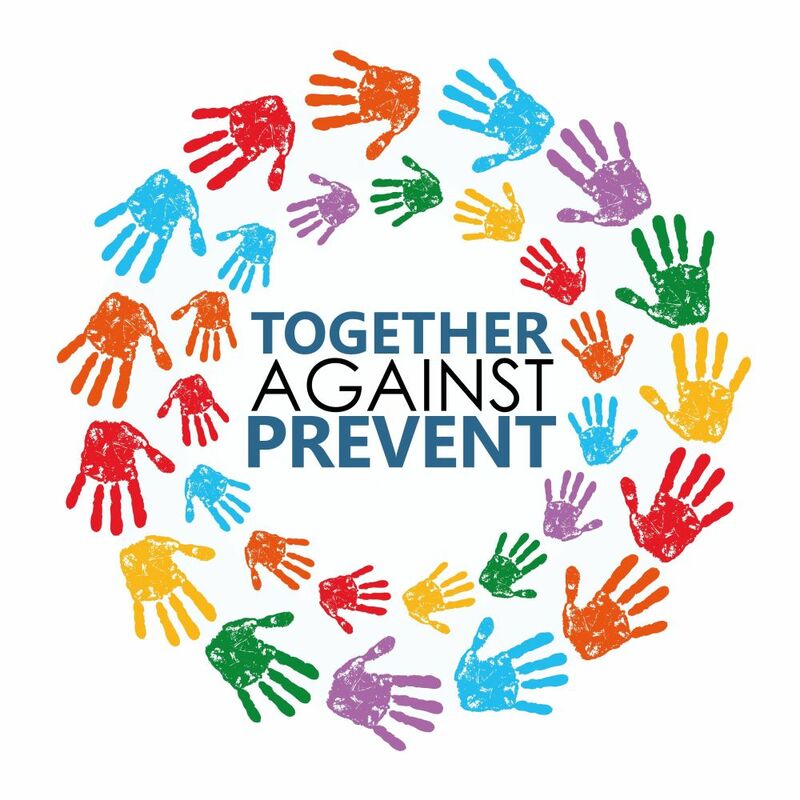 It is a joint initiative between the City of London Police and the Metropolitan Police, set up in 2004 and based at the City Police’s HQ, which has spread its network to police forces around the country and seeks to “advise and familiarise managers, security officers and employees of large public and private sector organisations across the capital on security, counter-terrorism and crime prevention issues”. Every week, Chief Inspector Nick Smith and his team at the ‘Westminster Counter Terrorism Focus Desk’, one of the Project Griffin projects, send out a briefing to businesses and this week’s edition includes the extraordinary advice opposite. 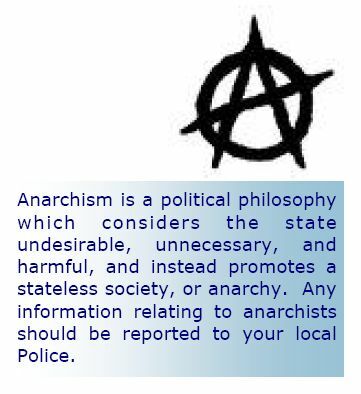 Leaving aside the rather limited definition of ‘anarchism’, the suggestion that “any information relating to anarchists should be reported to your local Police” is another example of the attempted criminalisation of ideas. For the time being, holding anarchist sympathies is not a crime – although presumably any gossip, however dubious and ill-informed, will be passed on by borough-level SO15 Counter Terrorism Liaison Officers to the feverish data collectors at the National Extremism Tactical Co-ordination Unit. Are the Metropolitan Police simply starting to run low on ‘Islamists’ to keep tabs or are we seeing a shift towards the creation of a new amorphous, imaginary bogeyman?